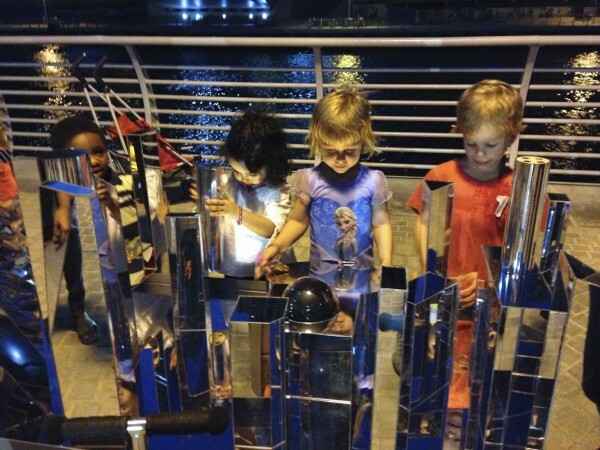 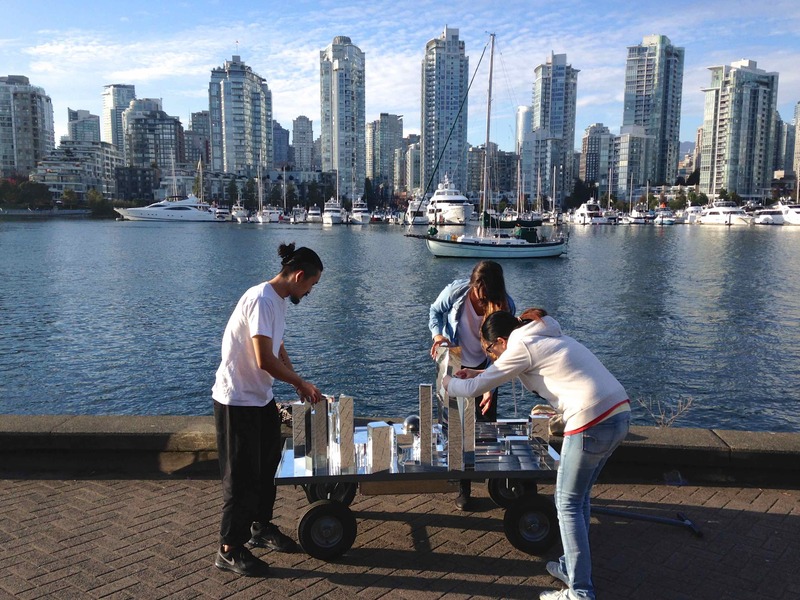 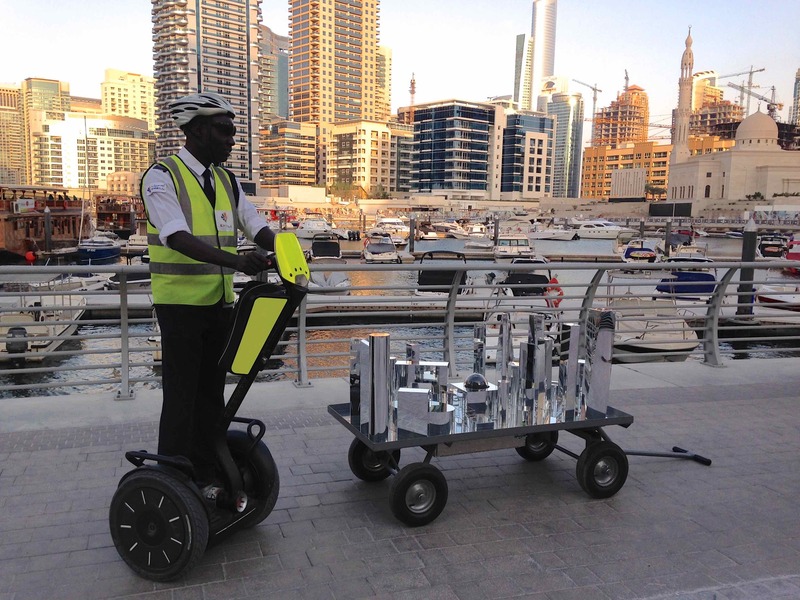 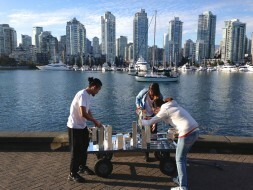 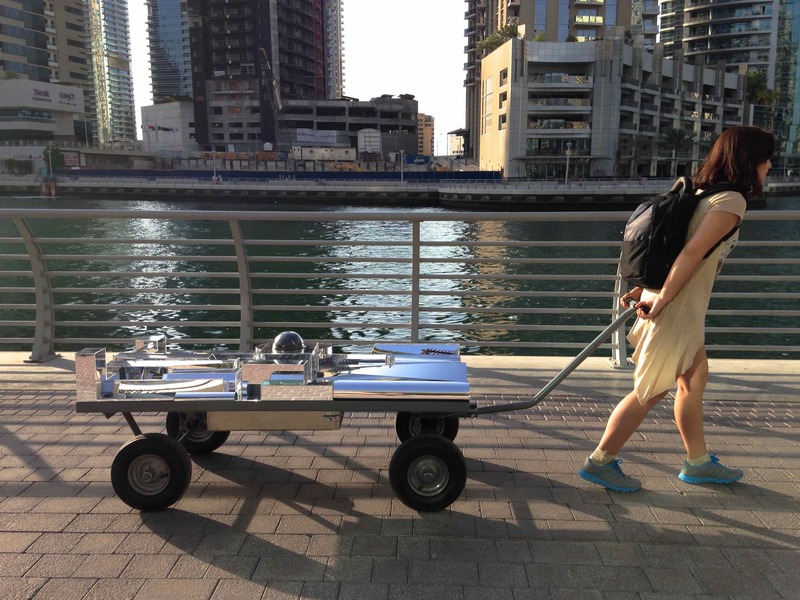 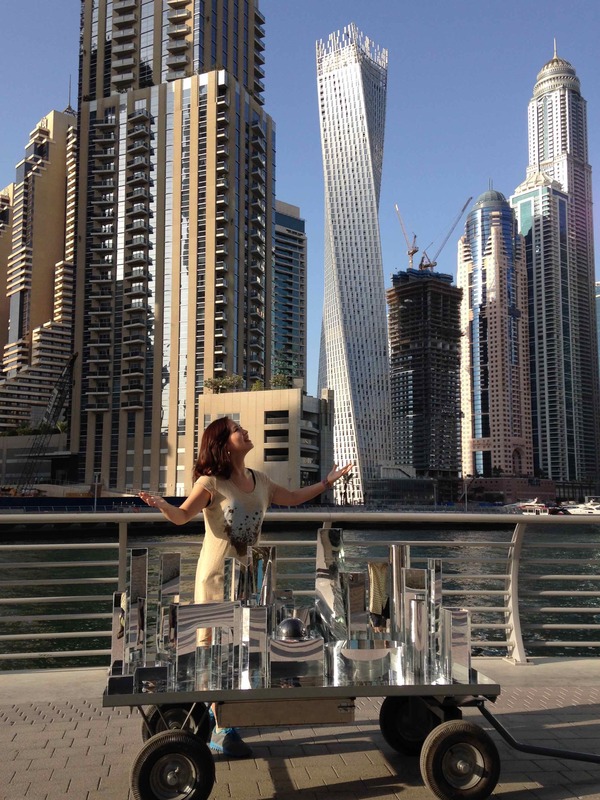 From 2014 to 2015, the Maraya: Sisyphean Cart conducted a site-specific participatory spatial investigation of the seawalls of Vancouver’s False Creek and the Dubai Marina in the UAE. 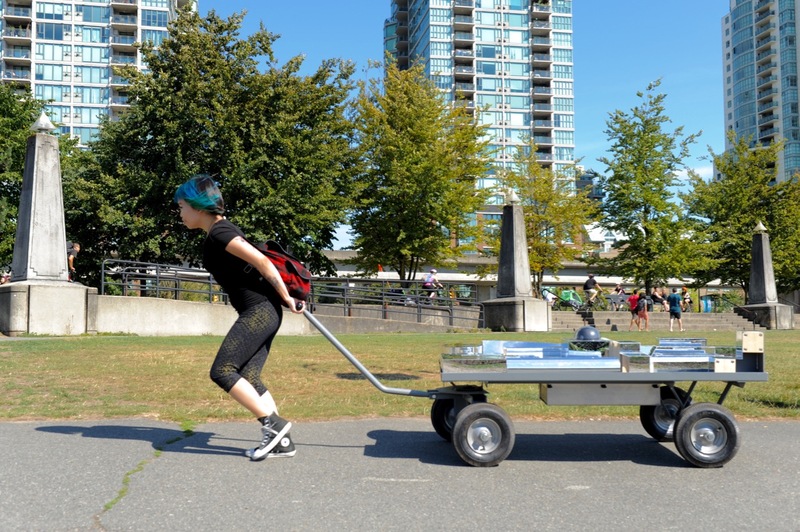 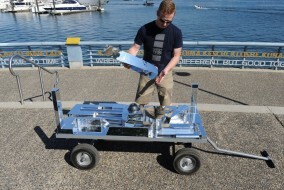 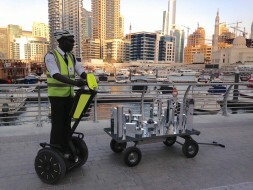 This mobile ‘sousveillance’ cart is mounted with an automated pan-tilt-zoom (PTZ) camera and pulled along the both waterfront seawall paths. 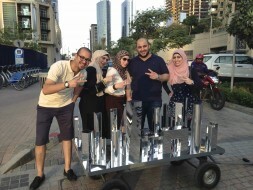 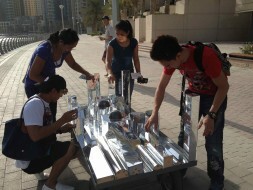 Participants were invited to pull the cart carrying mirrored archetypal architectural forms; occasionally they would stop and assemble the forms into their interpretation of a master-planned urban landscape that in turn reflected the built environment around them. 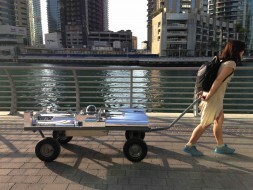 The cart itself, and significantly the pulling of it, invoked the spectre of labour — purposeful walking as a form of resistance to readily consumed images of idealized leisure — and the Sisyphean weight of this vision. Maraya Sisyphean Cart Excerpt2 from MarayaProjects on Vimeo.